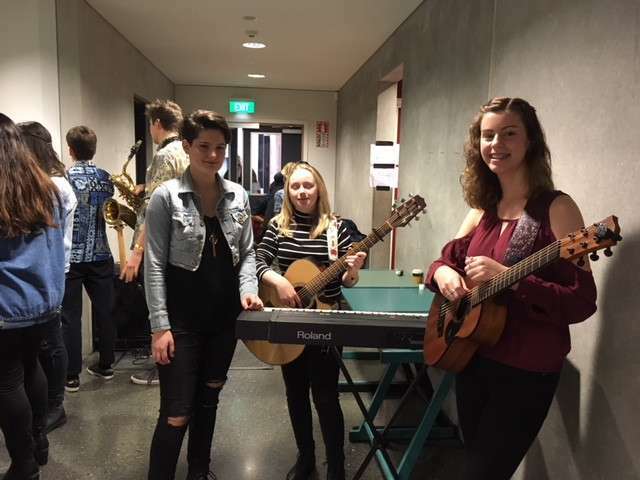 Saturday the 7th of June was the day that aspiring musicians from all over Canterbury came together to present their original music at the "Smokefree Rockquest", which is a competition that has been going now for 30 years and had over 100 entries for the Christchurch Region. 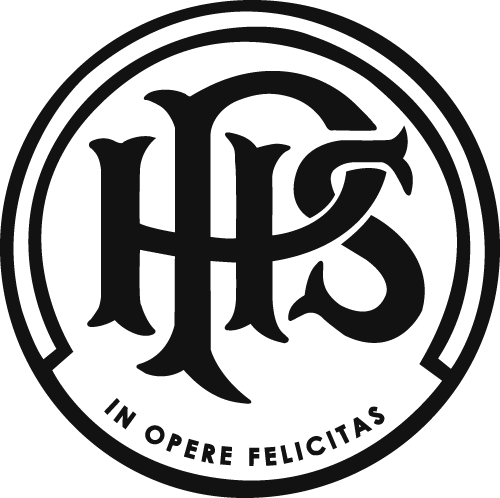 All music must be original so it is a great opportunity for students to not just show off their musical skills but also their creative thoughts and ideas as well. The event was held in the beautiful "Charles Luney Auditorium" at St Margaret's College and was set up with a full lighting and sound system and held a keen audience of supporters all ready to hear this year's talents. Papanui High School had 9 students presenting their originals to a rapt audience. The first group up was a year 10 trio called "Vivo" (meaning lively). This group featured Emma Lilly - keyboard/ vocals, Maddie Gay, lead guitar/ vocals, and Larissa Wilson , rhythm guitar / vocals. Their original song was in a rocky folk style and featured beautiful guitar parts and fantastic vocal harmonies. 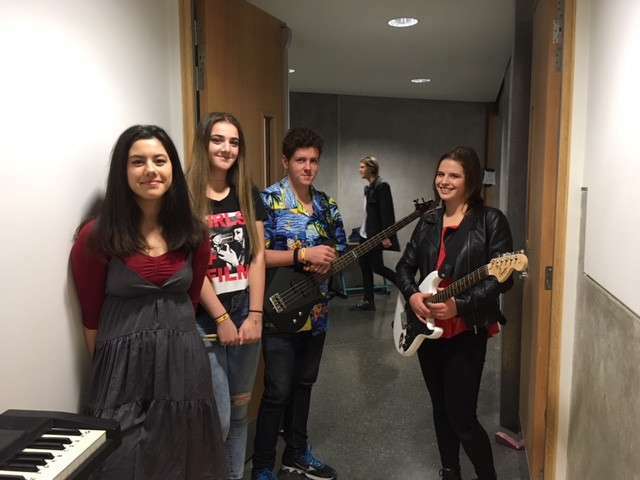 Although this group did not make the finals they received a massive applause and have now been asked to perform a whole set for a paid radio recording session which is a great opportunity for them. 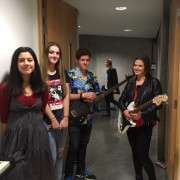 The second group was a 4 piece band called called 'Barossa' and featured Laura Cain on drums, Alex Reeves on vocals and guitar, Hannah-Grace Horton on keys and vocals and Alec Dunstone on Bass. They wrote a great catchy rock song with a super funky bass line, awesome work on vocals harmonies and driving drums by Laura who was one of the only female drummers of the day. Our super talented year 10 student Jai Tudor-Oakley who also drums for Jazz band and Combo, led his multi schools band as a vocalist and lead guitarist with their original song. With his astonishing lead guitar skills and rock vocals, Jai will be one to watch for the future. It was a great day overall with all the students enjoying the big audience, stage and sound vibe, and all declaring they will be back next year for more!